FOODEX JAPAN is Asia's largest food and beverage exhibition, which is held annually in Japan. It is a great opportunity for all of us to get the latest product information and product trends. This time, FUN! JAPAN team members have visited the venue and discovered the products that are not yet well-known and become a hot topic item soon! Please refer to below for the products which are strictly selected by the FUN! JAPAN team. 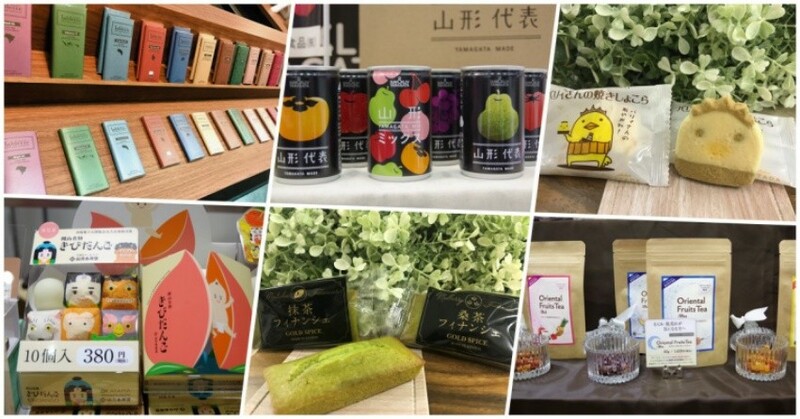 Souvenirs in Kansai and Kyoto areas: Kyoto Golden Flavor "Matcha, Kuwacha Financier"
“Matcha & Kuwacha Financier” is a western Kuwacha confectionery which was specially developed for the demand of foreign traveler to Japan. It is a confectionery which is made with fresh Kuwacha leaf and it is said that is functional to control the blood sugar level. When we mention about Kyoto, usually the first thing that comes to our mind is matcha. So this Kuwacha confectionery will be a special confectionery which will surprise you. The retail price of this confectionery is 2,100 yen (tax is not included) for 6 pieces. It will be released and sold at Kyoto City first, and sequentially released and sold to another area from now on. Souvenirs in Kanto and Yokohama areas: VANILLAVEANS "Tablette Chocolat"
VANILLAVEANS which is based in Yokohama has developed about 20 to 30 types of plate chocolate products from single beans to original blend, and various flavored chocolates. I feel lost while choosing which one to buy since all of the chocolates come with different packaging of design depending on each taste, with full of luxury sense. Each product is sold at only 648 yen (tax included) at VANILLAVEANS Cafe Minato Mirai in Yokohama and Kamakura. Souvenirs in Tohoku and Yamagata areas: SUN & LIV "Yamagata Representative product"
This is a 100% juice product which use the fruits that represents Yamagata such as apple, la France, cherry, and peach. It is characterized by the packaging design that express well the content of the juice, and also the natural original taste of the fruit. There are also gift set available with 5 cans set (976 yen included tax). It can be purchased in Yamagata Prefecture. Souvenir in Shikoku and Ehime area: Hatada Main Store "Barysan no Yaki Chocolate"
"Barry-san" is a PR mascot character of Imabari City, Ehime Prefecture. It is a flavorful orange chocolate cookie which looks like Bary-san, where you can enjoy both taste and nice packaging, and the cookie is as cute as you not willing to eat it. There are 6 pieces set (648 yen included tax) and 12 pieces (1,296 yen included tax), which can be purchased in Ehime and Kagawa prefectures. Souvenir in Shikoku and Okayama area: Yamagata Eijudo "Kibidango"
Kibidango is a popular souvenir in Okayama Prefecture. With the concept of the Momotaro story, when you open the peach box, the baby Momotaro will jump out, and you can see dog, monkey, and chicken in a row! You can enjoy to take out the cute kibidango with individual packaging and put into your mouth to enjoy the taste conveniently! There are 5 pieces set (280 yen tax included) to 30 pieces set (1,350 yen tax included) available and can be purchased in Okayama Prefecture. 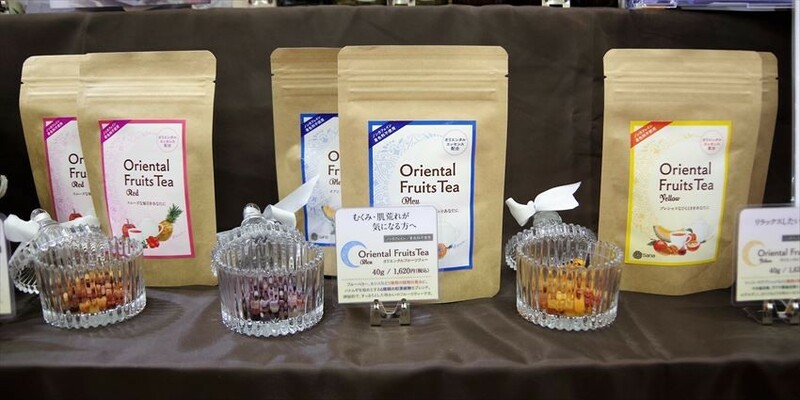 Souvenirs in Kanto and Chiba areas: Nihon Sana "Oriental Fruits Tea"
"Oriental Fruits Tea", is a unique tea and different from ordinary fruit tea. A tea that makes women happy because it contains the extract of Japanese & Chinese roots from dried fruits and herbs. Just put the hot water, the tea is ready and you can enjoy the flavoured tea. In addition, you can also enjoy the texture of dried fruits. There are three types available, which includes yellow (mango and melon, etc. ), blue (blueberry and black currant), and red (apple and strawberry etc). It is also non-caffeine and therefore can be enjoyed by pregnant women and children. For each type, the price is 1,620 yen (tax included), and you can purchase it at Tokyu Hands Chiba store. Products which introduced above cannot be purchased unless you go to purchase at the local. They can be said to be the regional limited items. Please buy it and have a try when you happened to visit the above places next time!